South Africa President Cyril Ramaphosa addressing the 6th Conference of the Chinese and African Entrepreneurs at the China National Convention Centre. Delegates in the China Africa cooperation are sparing no effort to help players from either part walk the talk in the agenda that intends to bring China closer to Africa. Latest step that is leading to fruitful results is a dialogue on the Implementation of China-Africa Peace and Security Initiative. Hosted by the Forum on China Africa Cooperation(FOCAC) committee, the dialogue was concluded in Addis Ababa, Ethiopia on 6 February 2019. The profile of participants was an indication that the outcome would not be taken for granted. To be noted is the chairperson of FOCAC and Assistant Foreign Minister of China Chen Xiaodong. Joining Xiadong was Mame Baba Cissé, Secretary General of the Ministry of Foreign Affairs and Senegalese Abroad of the Republic of Senegal and the African Union Commissioner for Political Affairs Minata Samate-Cessouma. Also present were Foreign ministers and representatives of 23 African countries, including members of the AU Peace and Security Council and the five countries in the Sahel region. Chen Xiaodong noted that at the successful FOCAC Beijing Summit last September, China and Africa agreed to jointly build a closer China-Africa community with a shared future. 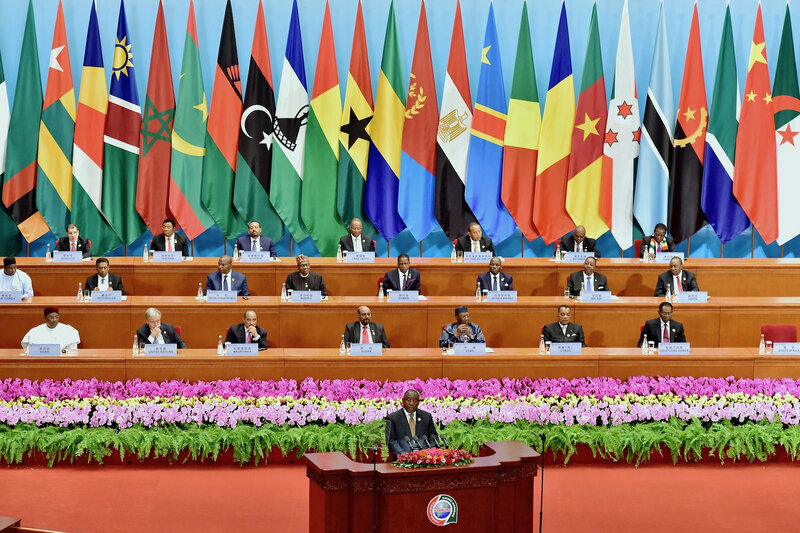 At the Summit, President Xi Jinping announced a host of new measures to strengthen China-Africa peace and security cooperation, and reached important consensus with African leaders on launching the peace and security initiative. This year is the first year for implementing the Beijing Summit outcomes. Recently, State Councilor and Foreign Minister Wang Yi visited several African countries and the AU Headquarters, during which he reached important common understanding with African leaders on furthering China-Africa cooperation in the field of peace and security. China hopes that the Dialogue will create synergy in thinking and action between the two sides, put forward suggestions on how to implement the peace and security initiative, and build momentum for China-Africa peace and security cooperation. Throughout the process, China has been committed to four principles: playing a fair, impartial and constructive role, helping Africa build up its own peacekeeping capacity, addressing the root causes as well as the symptoms, and pursuing cooperation for win-win results. “No matter how the international landscape evolves, or whatever noises individual countries may make, China’s resolve to follow through on the new peace and security cooperation measures announced by President Xi Jinping at the FOCAC Beijing Summit and relevant consensus reach by Chinese and African leaders remains unchanged,” said Xiaodong. Chen Xiaodong noted that China and Africa enjoy ever greater common language, common aspirations and common interests as new opportunities and challenges emerge under new circumstances. He indicated that there are new opportunities for partners to step up cooperation on peace and security and shared his country’s commitment to work with Africa to explore new dimensions for dialogue on peace and security policy. This goes hand in hand with establishing a China-Africa peace and security forum; to take new actions to build capacity on peace and security by encouraging the UN to provide financial support to the AU’s own peacekeeping operations and delivering on the military assistance to the five countries in the Sahel region. The cooperation will also seek to explore new approaches to facilitate the political resolution of hotspot issues; and to implement the new measures of the peace and security initiative. In their statements, the African delegates highly praised the historical significance of the FOCAC Beijing Summit and in particular, the new peace and security cooperation measures announced by President Xi Jinping, and applauded China’s long-standing efforts to help maintain Africa’s peace and stability. China always honors its words with actions. The Dialogue, which is held at the most opportune time, serves as a concrete example of China’s growing efforts in implementing the Beijing Summit outcomes in the field of peace and security. The African side noted that going forward, Africa hopes to strengthen communication and coordination with China in the UN Security Council. Africa expects to China to increase its support for Africa in conflict prevention and helping the continent realize its vision of silencing the guns in Africa by 2020 and building the African Peace and Security Architecture. Peace and development are closely inter-linked. Another key pending project is the Belt and Road Initiative and the AU Agenda 2063. It was agreed that Africa will work with China to safeguard multilateralism, strengthen the multilateral system, enhance communication and coordination on major international affairs including the UN Security Council reform, and jointly defend the interests of China and Africa and other members of the developing world.